Known for fashion-forward designs and extraordinary craftsmanship, A. Jaffe is one of our premier designers here at Tara Fine Jewelry Company. This outstanding A. Jaffe Diamond Engagement Ring is of no exception when it comes to the world-renown beauty and style A. Jaffe has always been known for. Fashioned in brilliant 18k White Gold, this stunning Engagement Ring showcases a look that is so vintage and chic. The ring flaunts 62 intricately set brilliant Diamonds throughout it's remarkable shank and gallery. Pair this magnificent designer ring with your personally selected center stone (sold separately), and you are sure to have a gorgeous Engagement Ring that she will cherish for years to come! 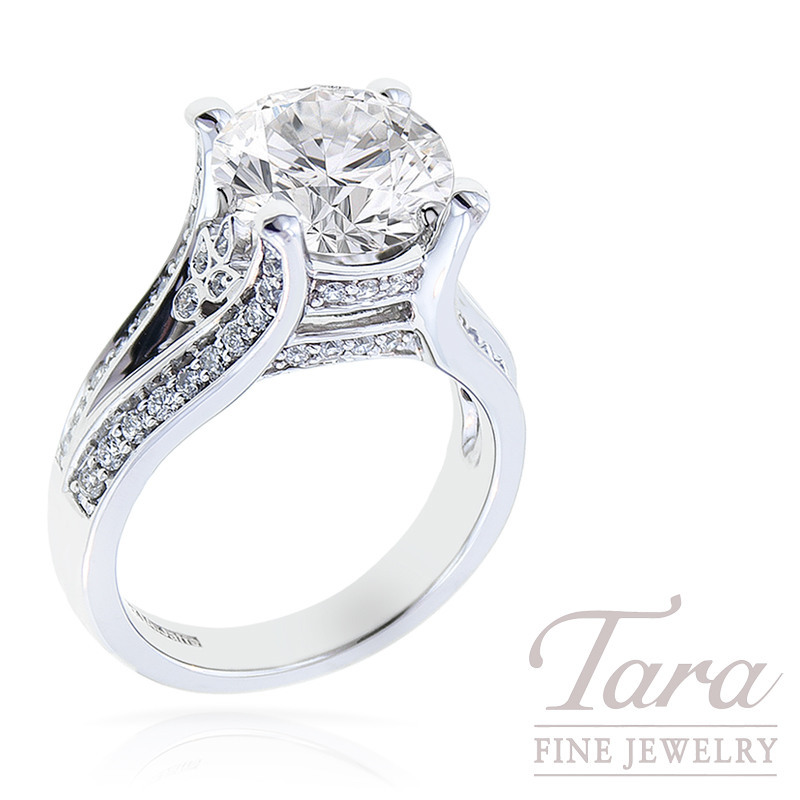 Come see your friends at Tara Fine Jewelry Company to view our exclusive bridal and engagement designer lines. We carry the most sought after engagement rings in Atlanta, including: Henri Daussi, Forevermark, Ritani, Tacori, and many more. We guarantee that you will find the ring of your dreams at Tara Fine Jewelry Company, the beginning of Atlanta’s happily ever after! A. Jaffe Diamond Wedding Band 1.60 CT TW.